Example: I’m hesitant to invest in Max Muncy because he might get Dodgered and only earn 550 plate appearances. The Super Bowl is over and it’s time to get the 2019 fantasy baseball season started! Leagues are already forming at Fantrax.com, so head on over and get your league started today. 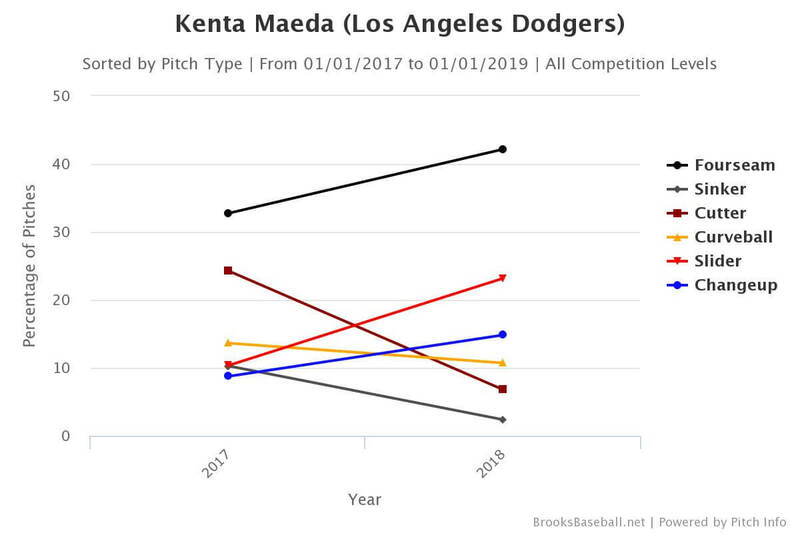 In 2018, Kenta Maeda got Dodgered hard. After making 20 starts, Maeda was banished to the bullpen in August despite his 3.85 ERA over 107.2 innings as a starter. You can give other reasons for the demotion if you want, but Maeda was set to earn a $1.5 million bonus for reaching 25 starts. He was also earning $250,000 for every 10 innings he pitched between 90 and 190 innings. After trading for Manny Machado and running right up against the luxury tax cap, it’s pretty convenient that Maeda suddenly wasn’t good enough to be a starter. There is also the absurdity that Ross Stripling isn’t good enough to crack the rotation. All he did as a starter in 2018 was toss 122 innings with 136 strikeouts to 22 walks and a 3.02 ERA. That, however, is another can of worms. 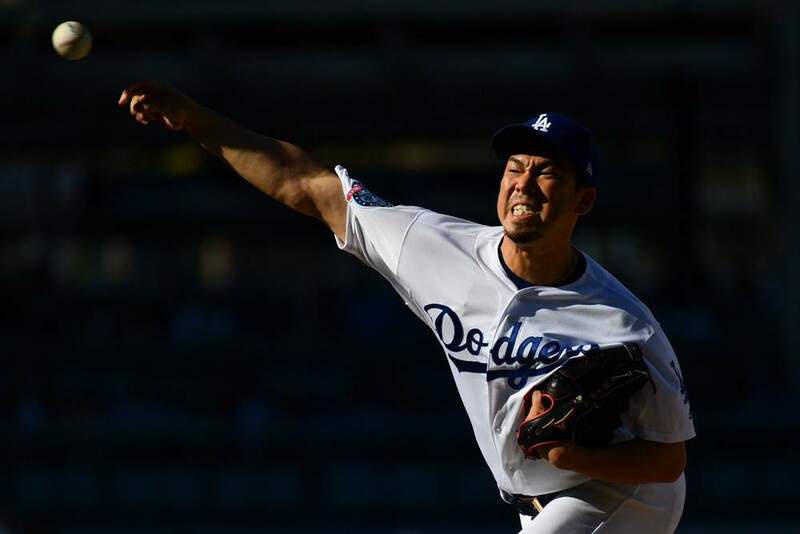 Today we are talking about Kenta Maeda, because at least (for the time being) Maeda is slated to start for the Dodgers in 2019. As a previously established product, Kenta Maeda didn’t make headlines the same way Ross Stripling did in 2018. Everyone wants to talk about the shiny new toy. Even though Maeda’s results were plenty shiny, what Stripling did was shinier than a pair of shoes shined by Andy Dufresne himself. Check out some of the K-BB % leaders from 2018 (min. 120 IP), and you’ll see these familiar names. Some great company there, and also – four Dodgers pitchers on that list! That’s very impressive. Maeda’s 20.7% mark was the best K-BB% of his career, and there were multiple changes he made in order to achieve it. One of the biggest keys to success in baseball is to realize when you need to make a change. After a disappointing 2018 in which he posted a 4.22 ERA over 134.1 innings, Kenta Maeda needed to make some changes. So change he did. Maeda basically scrapped his sinker and cutter in lieu of more sliders and changeups. The cutter/slider usage is peculiar though, and perhaps not especially telling. The Brooks Baseball data says he actually entered 2018 throwing the cutter over the slider but moved to the slider primarily in May. Both pitches are 84-85 MPH, although their movements differ slightly. They’re close enough to the same pitch in terms of results where we can’t take too much away from that shift. However, the increased changeup usage should have our attention. The pitch earned an elite 27% swinging strike rate in 2018 and showed improvement in other ways as well. He increased the usage after undergoing a mechanical tweak in May. His adjustment seemed to help his command of the pitch as well. He was able to better locate his changeup in or below the bottom of the strike zone compared to 2017. He wound up getting more reaches out of the strike zone than ever before at 33.9%. He also set a career-high in SwStr% at 14.4% and lowered his contact rate to 70.7%. As a right-handed pitcher, it’s no surprise that Kenta Maeda has troubles with left-handed bats. Especially considering his primary breaking balls is a cutter/slider, which tails right into lefty bats. This is why his improved changeup is a big deal – to help send those lefties back to the dugout. In 2017, he allowed a .331 wOBA to LHH with a .278 BABIP and 5.10 FIP. This is where the whims of BABIP are interesting because in 2018 his wOBA rose to .348 despite the improved changeup. His FIP lowered to 4.37, but a .338 BABIP crushed his hopes of improvement on the surface level. Oddly enough, his hard contact rose from 28% to 40%, indicating a fair bit of that BABIP was deserved. This is where we get to the Negative Nate portion of the write-up. Maeda allowed 38% hard contact in 2018, up a stark 10% from 2017. Hard contact across the league jumped last year, so maybe this isn’t a big deal. Still, if that doesn’t drop down in 2019, he’ll have more of the .321 BABIP from 2018 and less of the .283 and .278 BABIP’s from prior years. That will keep him more in the 3.81 ERA range where he was last year rather than the 3.22 range, where his FIP says he should have been. And now we come full circle, back to the concern around Maeda getting Dodgered. Not only does he typically not pitch deep into games and struggle with injury, but we also have to worry about the Dodgers yanking him from the rotation at the drop of a hat. His career-high innings total is 175.2, which isn’t bad at all these days. Few pitchers toss 200 innings anymore. Unfortunately, we have to consider 175 innings an unlikely scenario. He’s more likely to finish around 150 innings if everything goes well. 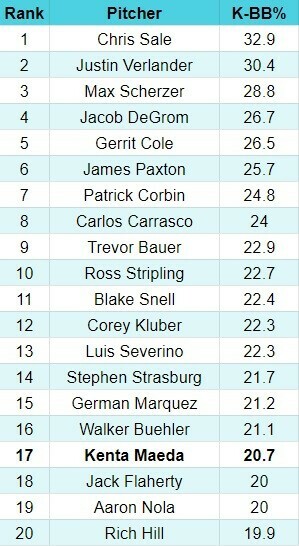 There is a reason he’s only the 68th starting pitcher off the board according to our Fantrax ADP, after all. However, he is also on a loaded Dodgers team. You only need to toss five innings to qualify for the win, which Maeda can definitely do. How different is he really going to be from Charlie Morton, who is SP30? James Paxton has a single season career-high of 160.1 innings as SP16. Rich Hill – RICH HILL – is going as SP50 and hasn’t surpassed 136 innings in a season since his comeback in 2016. As SP68, you can easily cut Maeda if/when he gets Dodgered. You are also buying his upside, which is 175 strikeouts over 150 innings with a mid-threes ERA and 1.15-1.25 WHIP. Enjoying Nathan’s take on Kenta Maeda? For more great rankings, strategy, and analysis check out the 2019 FantraxHQ Fantasy Baseball Draft Kit. We’ll be adding more content from now right up until Opening Day!